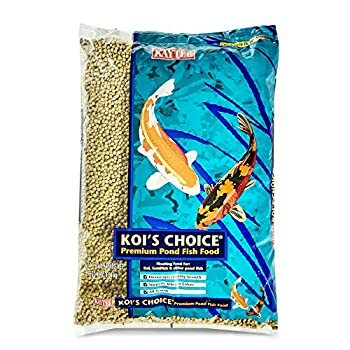 If you think that your fish food might need switching, consider trying out Kaytee Koi’s Choice Premium Fish Food and document if the health your fish and tank improves over time. It’s a trusted product for a lot of others, so give it a try. Some of the most common questions that get asked by first-time and amateur tank-keepers are how they know they are giving their fish the right food for the best results, and whether or not they are keeping the tank in the best possible condition for the fish. Plenty of these questions can be answered by surfing the internet, and a lot of those questions you’ll have to figure out through trial-and-error over time – and occasionally, you’ll have to ask an expert. There are many things which can affect the conditions of the tank and the overall health of your fish, but we can say that it all starts with the diet: If your fish aren’t getting the right diet, you’ll notice changes in their appearance and behavior – and if this doesn’t go away with a good cleaning of the tank, it’s likely that you’re looking at some kind of dietary issue. You should aim to give your fish the best food that you can possibly afford – but that doesn’t mean you have to spend hundreds of dollars on food, either. Kaytee’s Choice Premium Fish Food is affordable and available in five, ten or twenty-five pound bags – so you can buy just as much as you need for a little while at a time, or you can purchase enough of it for the long haul if you’re preparing or happen to have a larger tank that needs taking care of: It’s even a pro-choice fish food amongst aquariums all over the world. It’s perfect for any forms of pond fish, including Koi, and it’s specifically been designed with the best health of your pet in mind – while still being affordable for your pocket at the same time.